1. Early Days In 1905, Hans Wilsdorf and his business partner and brother-in-law, Alfred Davis, founded Wilsdorf & Davis Ltd. in London. In 1908, Wilsdorf registered the trademark “Rolex” and opened an office in La Chaux-de-Fonds, Switzerland. The company officially changed its name to Rolex in 1915. There are various stories about the origin of the Rolex name, none apparently confirmed by Wilsdorf himself. One is that Wilsdorf followed the lead of George Eastman, who invented the “Kodak” name for his own company. Eastman’s success started a trend of short, invented brand names. Another story is that Rolex is a sort of portmanteau of the French phrase horlogerie exquise. Regardless of the inspiration, the name certainly caught on. 2. Patents and Firsts Rolex claims, or has been credited with, a wide range of watchmaking patents and firsts. Here is a sampling: In 1910, a Rolex was the first wristwatch in the world to receive the Swiss Certificate of Chronometric Precision, granted by the Official Watch Rating Center in Bienne. In 1926, Rolex patented the first waterproof watch – its famous Oyster. The Datejust was born in 1945, bringing us the first self-winding wristwatch to indicate the date in a window on the dial. Rolex became the first watch to break the sound barrier on the wrist of pilot Chuck Yeager in 1947. Launched in 1953, the Submariner was the first divers’ watch waterproof to a depth of 100 meters. That same year, Rolex reached the summit of Mt. Everest with the expedition that included Sir Edmund Hillary and Tenzing Norgay. In 1960, Rolex was the first company to send a watch to the bottom of the Challenger Deep in the Mariana Trench. In 1967, Rolex patented the helium escape valve. Rolex became the first brand to use 904L stainless steel in 1985. Rolex is also know for creating an array of trademarked names for its innovations. These include Twinlock and Triplock waterproof screw-down crown systems. Parachrom is a material developed, patented and manufactured by Rolex for use in hairsprings, Everose is an 18k rose gold developed, patented and produced by Rolex in its own foundry. The Paraflex shock absorber system helps protect the movement from shocks. 3. Kew A Certificates In days gone by, when ships relied on marine chronometers to navigate, timekeeping accuracy was a paramount concern not only to sailors, but to entire nations. Manufacturers sent their finest handmade and hand-adjusted marine chronometers to be tested at astronomical observatories, such as those at Neuchâtel, Geneva, Besançon and Kew. Each observatory applied its own standards, and Kew reportedly applied the strictest of all. The tests were far more demanding than those employed by COSC today. For decades, only hand-adjusted marine chronometers with detent, or chronometer, escapements passed the tests. At Kew, chronometers that performed especially well received an A-class certificate. In 1914, a Rolex wristwatch received the first-ever Kew A certificate for a timepiece of that type. During the 1940s, Rolex submitted a series of 145 small wristwatch movements to Kew for testing. To the amazement of practically everyone (except perhaps Hans Wilsdorf and his staff), 136 of the movements received Kew A certificates. The movements Rolex submitted were among the least expensive it produced – 10 ½ “’ Hunters, though each was fitted with standard production balance wheels and escapements intended for another movement, making the “Kew A” movements a sort of hybrid. These movements were specially hand finished, and each was adjusted by Rolex’s master timer, Jean Matile. Most of the movements were used in steel, 32 mm Oyster Speedking watches, while 24 of the movements were placed in 34 mm gold cases and sold as model 6210. Needless to say, today these watches are among the most sought-after by collectors. A rare Rolex 6210 “Kew A Certificate” watch sold by Antiquorum Auctioneers. © Image Antiquorum. 4. James Bond Rolex has close connections with several real-life celebrities, but the most famous connection may be with the fictional character James Bond. Rolex collectors differ on some of the details surrounding which Rolex models appeared in which films, but it is settled that in his original 14 Bond books, Ian Fleming mentioned only one brand as belonging to 007 – Rolex. So, when Bond made the jump to the big screen, he naturally wore Rolex. Sources vary slightly on which models appeared in which movies, but it seems safe to say that Rolex appeared in these Bond films: Dr. No, From Russia With Love, Goldfinger, Thunderball, On Her Majesty’s Secret Service, Live and Let Die, The Man With the Golden Gun, and License to Kill. The relationship produced a watch known to collectors as simply the “James Bond Sub.” Most agree that this designation belongs to the ref. 6538, which was produced from 1954 to 1959. Some refer to all early Submariners without crown guards as James Bond Subs. However you choose to define it, a legend was born. A Rolex ref. 6538 “James Bond” Submariner, sold by Antiquorum. © Antiquorum. 5. Lights, Camera, Action It’s probably safe to say that Rolex watches have appeared in more than 100 movies. Here is a list of 50 non-Bond films in which Rolex made an appearance: Absolute Power, Air Force One, All the President’s Men, Apocalypse Now, Apollo 13, Argo, Body of Lies, The Bourne Legacy, The Color of Money, Courage Under Fire, The Deep, The Deer Hunter, Die Hard and Die Hard 2, Dirty Rotten Scoundrels, Easy Rider, The Enforcer, Eyes Wide Shut, Frantic, Glengarry Glen Ross, Goodfellas, Good Morning Vietnam, The Great Escape, Impact, In the Line of Fire, Inception, Jaws, Killer Elite, L.A. Confidential, Leaving Las Vegas, Lord of War, Lost in Translation, Marathon Man, The Mechanic (1972), Midnight Run, Mission Impossible – Ghost Protocol, National Treasure, The Negotiator, Ocean’s Thirteen, Outbreak, Rain Man, Rising Sun, Rocky II, Safe House, Schindler’s List, Speed, Sphere, Titanic, Towering Inferno, Under Siege, and The Usual Suspects 6. Philanthropic Programs Rolex is well known for its philanthropic and charity efforts, which include two global programs: The Rolex Awards for Enterprise, and The Rolex Mentor and Protégé Arts Initiative. Launched in 1976, the Rolex Awards for Enterprise provide financial support to individuals working in the areas of science and medicine, technology and innovation, exploration and discovery, the environment, and cultural heritage. In 2009 the Rolex Awards introduced the Young Laureates Program, designed to “foster innovation in the next generation.” Judges select enterprising young individuals and provide with them with funding and resources to pursue their projects. Since their creation, 110 Rolex Awards have been presented to recipients in more than 60 countries. Examples of recognized projects include a system to carry our mass health screening in newborns, developing faster laboratory tests to detect so-called “superbugs”, developing braille smartphones, and a public awareness campaign designed to lower child mortality rates. 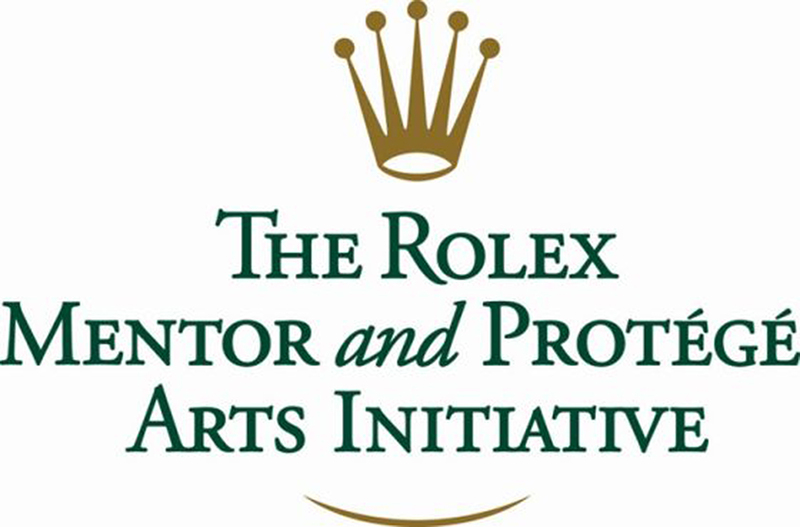 Created in 2002, the Rolex Mentor and Protégé Arts Initiative pairs gifted young artists with internationally recognized masters, sponsoring them to spend a year in a one-to-one mentoring relationship. Since its inception, 234 people, from more than 40 countries, have participated. 7. Top Auction Results When it comes to collectability, two brands stand head and shoulders above the rest: Patek Philippe and Rolex. With its galaxy of complicated timepieces, in precious metal cases, produced in small numbers, Patek dominates any listing of the most expensive watches sold at auction. While large numbers of Pateks have crossed the auction block at prices above $1 million, until a few years ago, no Rolex could claim that distinction. That changed in May, 2011 when a Rolex ref. 4113 split-seconds chronograph brought 1,035,000 CHF, or $1,163,746 at a Christie’s sale in Geneva. Manufactured in 1942, this watch was unusually large for its day, measuring 44mm in diameter, and the stainless steel case did not hold it back. Indeed when it comes to collectible Rolexes, steel usually trumps gold at sale time. Since the sale mentioned above, four more Rolexes have broken the $1 million benchmark at auction, and all have been sold by Christie’s. Here’s a quick rundown: In May, 2013, another Rolex ref. 4113 chronograph sold for 1,107,750 CHF, or $1,161,436, in Geneva. In November 2013 at its “Lesson One” sale in Geneva, Christie’s sold a Rolex ref. 6263 Cosmograph Daytona with an “RCO Paul Newman” dial for 989,000 CHF, or $1,089,186. The “RCO” is a reference to the text on the dial at 12 o’clock, which reads “Rolex Cosmograph Oyster”, rather than the usual “Rolex Oyster Cosmograph.” The following month in New York, a Rolex ref. 8171 in steel with triple calendar, moon phases and diamond-set dial sold for $1,145,000. In the catalog, Christie’s noted that Italian collectors nicknamed this watch “Padellone”, or “Big Frying Pan”, because at 38 mm, it was so large for its time, circa 1953. In May of this year in Geneva , Christie’s sold an 18k gold Rolex with star hour markers on a cloisonné enamel dial. Produced in 1949, this piece brought the equivalent of $1,242,040, placing a precious metal case at the top of the Rolex sales records, at least for the moment. Clockwise from top left: a ref. 4113, the first Rolex to break $1 million at auction. The first Paul Newman Daytona to break $1 million. The steel ref. 8171 that held the Rolex top-auction record for five months, and the current record-holder at $1,242,040, in gold with an enamel dial. All images © Christie’s. 8. Paul Newman If the James Bond Sub has a challenger for the title of most famous collector watch, it’s the “Paul Newman” Daytona. These are regular production Daytonas originally produced with exotic dials. These watches were not highly popular when they came out, meaning relatively few were sold, and that translates to fewer of them being available today. Production of the rare dials begin in the mid-1960s, and the dials appeared on a total of six different references: 6239, 6241,6262,6264, 6265, and 6263. The dials were made with two colors – black and white, and some dials featured a third color, red. Among other details, the dials featured Art Deco-style numerals on the subdials, and the some of the subdial hash marks had small squares at the ends. As is often the case with cult watches, the origin of the celebrity association is unclear. One story is that an image of Newman wearing the watch appeared on the cover of a top Italian magazine. While Newman was photographed wearing a Daytona with the exotic dial on several occasions, original copies of the Italian magazine cover remain elusive, so the story is likely untrue. Another story is that Newman was pictured wearing the watch in promotional posters for the movie “Winning”. Examples of the poster do exist, and that story does not hold water. However the association came to be, it took hold, and today “Paul Newman” Daytonas are worth far more than their weight in gold. Two “Paul Newman” Daytonas sold by Antiquorum. © Images Antiquorum. 9. Steve McQueen Another iconic actor and racing driver closely associated with Rolex is Steve McQueen. McQueen’s name is often linked with the model 1655 Explorer II – the original model with the big orange hand. However as there don’t seem to be any pictures of him wearing that watch, it’s considered more likely that dealers eager to generate interest in the watch fabricated the association. The watch McQueen was photographed wearing on several occasions is the reference 5512 non-date, chronometer-rated Submariner. Indeed Antiqourum sold McQueen’s personal 5512 for $234,000 in New York in 2009. 10. The Mariana Trench The deepest spot in the world’s oceans is the Mariana Trench, and the deepest part of the trench is the Challenger Deep, where the bottom lies about 35,800 feet below the surface. Rolex visited those depths for the first time in 1960, when Jacques Piccard and Don Walsh piloted the Swiss-designed bathyscaphe Trieste to the bottom. Attached to the Trieste’s hull, on the outside, was a specially-made Rolex called the Deep Sea. At that depth, the water pressure is about 1,086 bars, or 15,750 psi. After returning to the surface, Piccard sent Hans Wilsdorf a telegram reading “Am happy to confirm that even at 11,000 metres your watch is as precise as on the surface.” Rolex returned to the Challenger Deep as a partner in filmmaker James Cameron’s expedition in March 2012, again with a specially built watch attached to the outside of the submersible. The new experimental watch was dubbed the Rolex Deepsea Challenge, as a tripartite tribute to the name of James Cameron’s project (Deepsea Challenge); to the 1960 Deep Sea watch that accompanied the Trieste; and to the 2008 Rolex Deepsea timepiece, which provided the technical and aesthetic blueprint for the new experimental watch. Rolex designed and manufactured the experimental watch in less than two months. It was attached to an arm on Cameron’s submersible, where it reached a depth of 35,787 feet. Rolex commemorated the Cameron dive in August this year by releasing the Deepsea D-Blue Dial watch. Based on the Sea-Dweller Deepsea, this new model features a unique dial that is deep blue at the top and gradually fades to black at the bottom. The design represents the change in ocean color from the surface to the bottom. The Deepsea Challenge (left) and the original Deep Sea – the two Rolexes to visit the bottom of the Mariana Trench and return successfully. The Rolex Deepsea Challenge on a robotic arm of James Cameron’s submersible at the bottom of the Challenger Deep.